Shareholder Rights in New Jersey: Get The Information You Need As A Shareholder Here…NOW! Do you have questions about where you stand or about your rights under an existing shareholder agreement already signed? Do you have a shareholder agreement that has been violated, ignored or breached by a co-shareholder(s)? Are there threats of litigation by a co-shareholder, creditor, government agency, etc. facing you and/or your company? Are you contemplating filing or are you already involved in a shareholder’s rights lawsuit? If the answer to any one of these questions is yes, then you’ve come to the right place. I’ve written this page or this site with you in mind. The attorneys at Hanlon Niemann & Wright have negotiated, written, and litigated, all types of shareholder agreements addressing all types of business relationships and issues for over 35 years. We understand from experience the details and laws that must be considered to protect your interests as a shareholder. these laws are complex and not always easy to understand. Knowing how to navigate you through it all is our job. As lawyers for businessmen and businesswomen throughout New Jersey we’re experienced in the real world of NJ business and shareholder rights when companies do business in this state. When shareholder conflicts occur and litigation is filed or threatened, the trial attorney(s) at Hanlon Niemann & Wright are prepared and ready to defend your interests as a shareholder client. Fredrick P. Niemann, Esq. and the attorneys at Hanlon Niemann & Wright understand NJ shareholder rights laws. Please take your time to read each page of our site and watch our informative videos. When you’re done, I invite you to reach out to me today toll free at (855) 376-5291 or email me at fniemann@hnlawfirm.com and let’s discuss what’s going on. Our firm is here for you. Fred is a very detailed person. He knows the law and uses it to the fullest to defend his client(s). 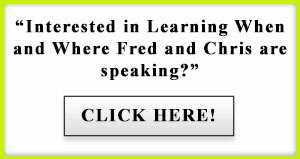 I had the opportunity to work with Fred several times over the last 25 + years and have been very satisfied with his performance. I would have no reservations in retaining Fred for legal advice if and when the opportunity presented itself. – Robert W. Bucco, Jr. In my negotiations with a large international corporation, Fredrick P. Niemann worked with me to the end. They were thoughtful and proactive in identifying the issues of concern to me, issues I hadn’t even thought of. I was very satisfied with the services they rendered. On the following pages of this site, you’ll also learn a lot about shareholder agreements. I’ll also discuss and explain to you in greater detail the important features that a well written shareholder agreement should include. In later pages I’ll discuss the consequences resulting from a breach or violation of that agreement between shareholders and others. Finally, I’ll cover with you in detail shareholder rights under New Jersey’s extensive shareholder laws and the options and remedies available to shareholders should legal action be necessary to protect their interests. 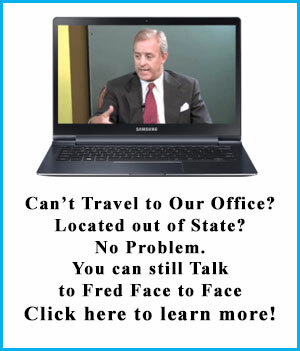 If you need the creation of a well thought out shareholder agreement or your involved in or about to be involved in an actual or potential shareholder dispute and you would like to speak to a shareholder Trial litigation Attorney, call Fredrick P. Niemann personally toll-free at 855-376-5291. You may also reach Mr. Niemann directly at extension 105 or e-mail him at fniemann@hnlawfirm.com He welcomes your inquiries. Are you an Oppressed Shareholder Under N.J. Corporate Law?